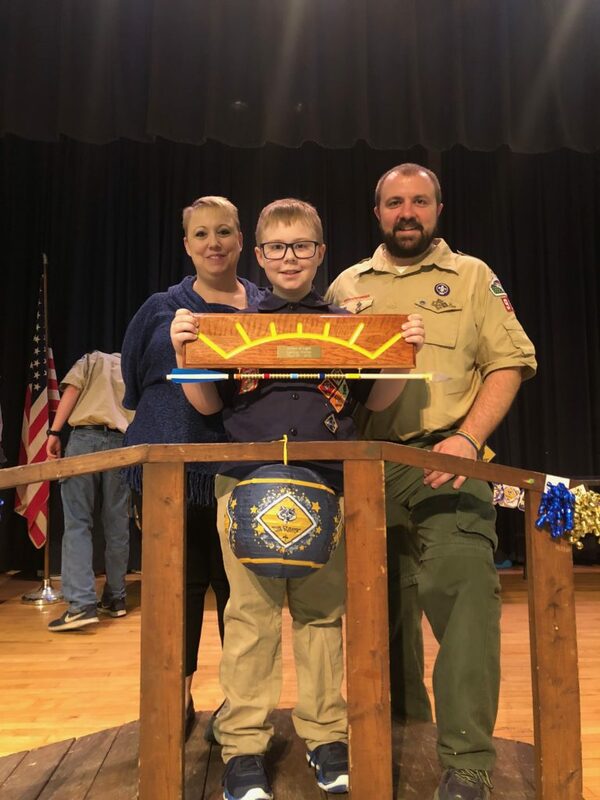 Landyn Hinton of Cub Scout Pack 98 recently completed all five levels of Cub Scouting and received his Arrow of Light award at the Pack’s recent Blue & Gold Ceremony. He will now continue his Scouting journey as a Boy Scout. Landyn is very active in his church, community and school, where he is on Distinguished Honor roll and assists with the Peer Help Group. Well done, Landyn, and thank you for setting an example for your fellow Scouts to follow! 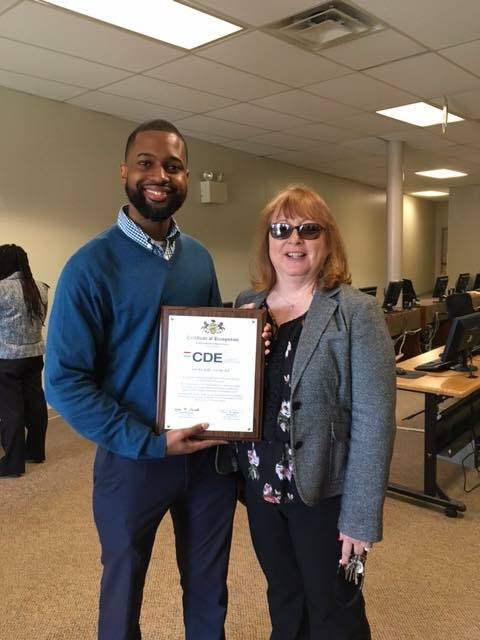 Congratulations to CDE Career Institute on their grand opening in Tannersville. CDE provides a variety of quality adult career training classes to help prepare them for meaningful careers. The mission of CDE states, “To help people build more successful lives through Career Education, Professional Development and Employment.” For more information, please visit their website at www.cde.edu. 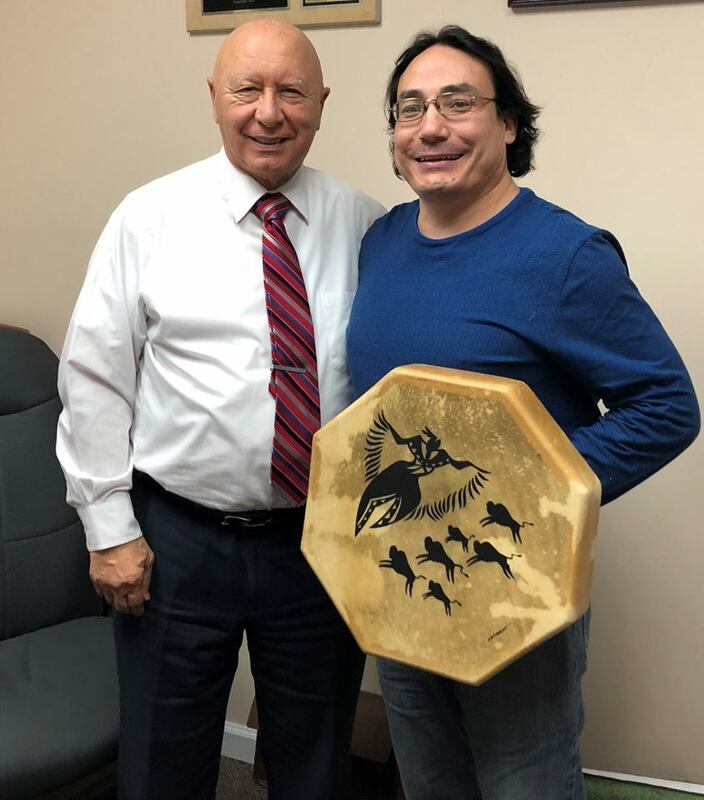 This week I had the pleasure of meeting Delwin Fiddler, Jr. a Native American Performing Artist who is working with the Pocono Cinema & Cultural Center in East Stroudsburg to bring his culture and education to our community. During our meeting, he played a beautiful melody on the Native American Flute. Thank you for sharing your talent and heritage with us. Senator Scavello discussed Office of Vocational Rehabilitation funding, the solvency of the Unemployment Compensation Trust Fund, and the minimum wage, among other topics. Senator Scavello requested an update on the Farm Show lease-lease back/financing Agreement, and discussed a proposed increase in the DGS line item for postage. Senator Scavello noted the freeze/thaw cycle in Pennsylvania is creating a bad season for potholes. He also discussed local bridge needs and asked about the Green Light Go Program, which helps to fund traffic signal improvements. The vital role that ports play in Pennsylvania’s transportation system. Senator Scavello urged state-related universities to do more to attract in-state students. Senator Scavello informed state Supreme Court Justice Max Baer of the confusion and new costs caused by new congressional maps drawn by the court before the primary election. Senator Scavello questioned the Inspector General about the federal government’s role in prosecuting food stamp fraud. Senator Scavello urged continued funding of the Civil Air Patrol, and discussed the education for children of veterans and the state of PA Veterans Homes. He also highlighted Paul’s House in Monroe County as a model for helping veterans in transition. Senator Scavello asked about efforts to contain Chronic Waste Disease, a fatal illness affecting deer farms and free-range deer. He also discussed the Pennsylvania Agricultural Surplus System (PASS), which allows for food banks to purchase surplus food from producers and processors at cost.